Food miles are a subject that are forever coming up in conversation. By taking a quick walk around the fruit and veg section of the supermarket you’ll be sure to find a variety of products from New Zealand, France, Spain, the Netherlands, parts of Africa, but you may struggle to find many varieties from Scotland and the UK. Increasingly though, people seem to be clocking onto the fact that food tastes better when it comes from closer to home. For fresh products, this is usually because it means less time is spent in unnaturally refrigerated conditions, and there is a quicker turnaround time from field to plate. It also means you are eating things which are in season, which tend to taste better every time anyway. Find out how many miles your food travels by using this food miles calculator. As a result of this, more and more people are deciding to grow their own fruit and veg, or buy locally from farmers markets or local suppliers. It’s a pity that there hasn’t yet been as much attention on flower miles as there has been on food miles. Like fruit and veg, most of our cut flowers come from countries in sub Saharan Africa, and the majority of tulips we buy are actually from the Netherlands – even when we can grow them perfectly well right here in the UK. An organisation called Flowers from the Farm though, is setting out to remedy this. Flowers from the Farm is a network of growers from across the UK that are working together to get local blooms back into every vase in British households. It now has around 200 members, including small and micro businesses through to farmers, smallholders and gardeners. Each member uses their knowledge of horticulture and floristry to grow and present a different range of flowers to those available from the supermarkets and the wholesale markets. 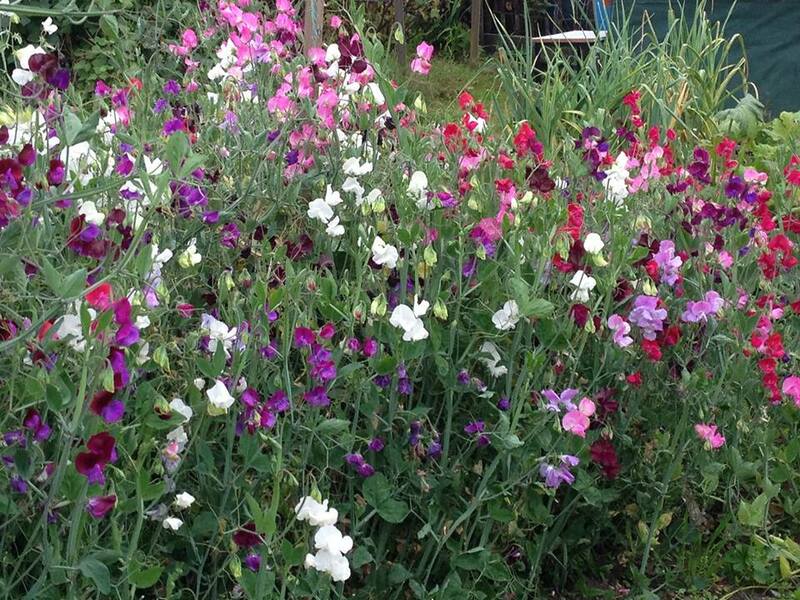 From Cornwall to Scotland, and almost every county in between, this network of artisan flower farmers are growing old and traditional British favourites, from sweet peas to dahias, gladioli to cornflowers. The organisation includes members that grow from wholesale purposes, whereas others are hobbyists that grow for small-scale events, farmers markets or individual orders. By buying from a Flower from the Farm supplier you will be buying local produce and supporting a local grower. Just like fruit and veg tastes better when its sourced locally, flowers look and fair better when they endure less travel miles and come from a nearby field. Next time you’re buying flowers as a gift why not give it a go to see what you can get that’s fresh, seasonal and local – helping local businesses in the process.